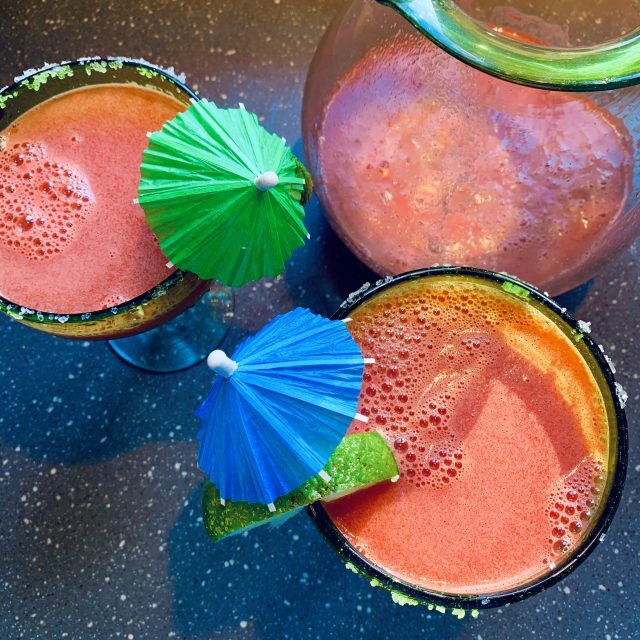 Juicy Watermelon Margaritas are a refreshing spin on the traditional margarita. This cocktail is a must for watermelon lovers and BBQ season! The base of the beverage includes fresh watermelon, tequila, cointreau, and lime juice. Honey gives it the extra pop it needs. I prefer my cocktails on the sour side so I go for some extra lime juice with just a dash of honey. 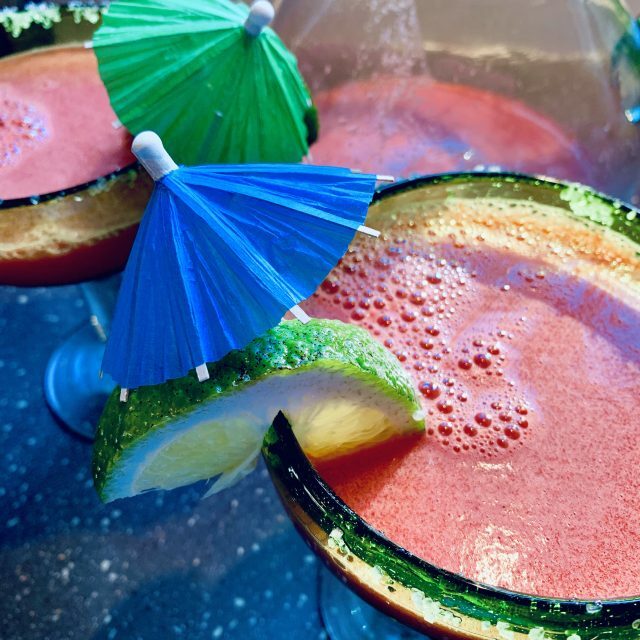 This Juicy Watermelon Margarita recipe is just the thing to serve your guests this BBQ season. The tequila, triple sec, and lime juice offer that traditional margarita appeal we all know and love. Add a salty rim and you’ve got a fabulous cocktail to share with friends! This Juicy Watermelon Margarita recipe is just the thing to serve your guests this BBQ season. Keep ice on hand so you can make a batch on the rocks whenever you need it. 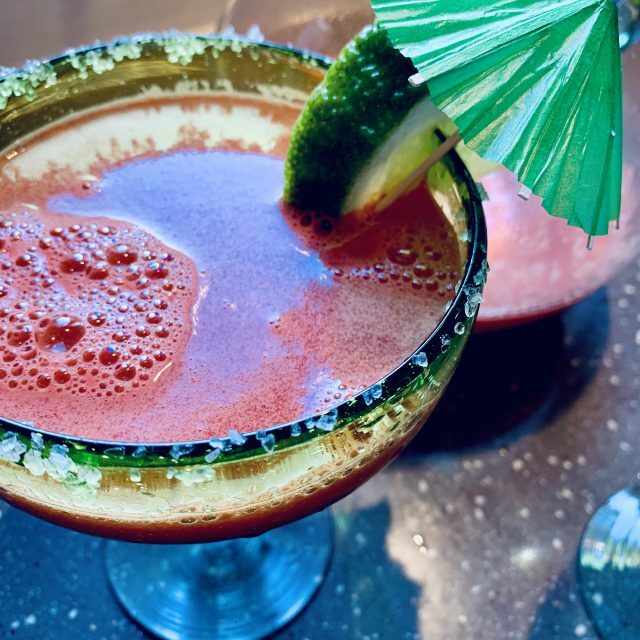 This tasty spin on the classic margarita is perfect for watermelon lovers! Cut watermelon into chunks and juice the limes. Add watermelon, lime juice and honey to blender. Blend until completely liquified. Pour juice through strainer into bowl. Use spoon/spatula to work the juice through the strainer. Pour juice into pitcher. Add tequila, Cointreau and 2 cups of ice and stir. Salt 2-4 rims of margarita glasses. Pour mixture into each glass and garnish with watermelon or lime wedge. Cheers!